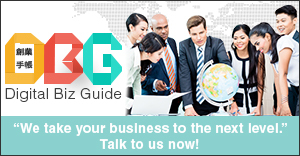 This website findcpa.info is owned by Bizceed Co. Ltd. and operated by Founder’s Guide. If you’re visiting our website for the first time, please be informed of the following Terms of Service and Usage we implement to run our business legally together with the protection of our human and business rights. Your usage renders that you have fully understood and agreed to our terms. If you have any contradictions, you can exercise the will to exit our website premises. All contents specified, stated and written under the provision and approval of our FG Editorial Team is copyrighted and therefore cannot be misused, misrepresented, twisted and reproduced in any way without proper approval and legal written consent. All proprietorship found on the website is owned (included but not limited to Intellectual Property) by Bizceed Co. Ltd.
1.1 prohibition of copying, duplicating, broadcasting and manipulating contents without permission is punishable by law and therefore strictly not allowed. And also prohibition of transfer of rights. Confidentiality unless stated otherwise is given as mandatory. 1.2 logos, trademarks, picture, photographic images,patent, utility model, design rights, portrait, publicity rights, property rights are licensed and legally acquired by Bizceed Co. Ltd. subject for disposal in accordance to the Editorial will and interest. It cannot be used in any form unless permitted otherwise. 1.3 content utilization and maximization are only for personal and non-commercial use provided that you do not make alterations credit ownership as your own. Removal of trademarks and copyright is not tolerated. 1.4 no distribution by any means for personal profit without asking the proper channels and legal cooperation with our Management Team. In lieu to free access and release of informative contents we only wish that you do not obstruct the delivery of our services, nor provoke partiality, racism, misrepresentation and character/cultural defamation of any kind. 1.5 Hacking is strictly punishable by law. 1.6 if you suspect infringement or any type of violation to certain guidelines, please feel free to contact our Editorial & Management Team for alert. You can email us at info@foundersguide.com together with the corresponding, specific nature of complaints. 1.7 Founder’s Guide will not be held responsible for the opinions expressed by individual contributors. They maintain the right to express personal opinions on any matter pertaining any subject. Granting that it was evaluated and approved by the Editorial Team. However, we do not guarantee accuracy of such content/s so therefore cannot be held liable upon any circumstance. 1.8 no employee/affiliates shall be liable for any claims of defamation, libel, slander, lies, obscenity by external users. 1.9 we do not endorse nor encourage the selling neither of firearms, swords, illegal drugs or other illegal goods or narcotics or any other activities that are deemed inappropriate. 1.10 transfer of information harmful to or corruption of minor, or even the act of posting child promotion is strictly not observed within the publication. 1.12 it is necessary for our online publication to perform regular system maintenance. We are not obliged to inform the users in advance prior to execution. It should be noted that when the server is down, telecommunications line will be faulty, and other system failure occurs, the Company shall endeavor to recover, during the disaster recovery period but the Company does not assume any responsibility. 1.13 in the event of natural disaster, epidemic, war, riot, civil war, fire, flood, abolition enactment of laws and regulations, the intervention of public power, strike and other labor disputes, and other events that we are forced to cease service delivery, we will not be subjected to liability damages regardless of the number of users, followers and other 3rd party consensus. 1.14 if there are any objection by any 3rd party about articles and information posted on the website, we will not guarantee any means of surrender or removal. Depending on cases of public discretion or harmful propriety. The company otherwise will not assume any responsibility either. 1.16 Actual damages compensation will be upon case-to-case basis. Provided that there is no gross negligence or grave violation committed by the company. On the other hand, if you have committed any damages/violation set forth in the terms mentioned here, we have the right to sue or demand compensation from your part. 1.17 governing law and jurisdiction is applicable depending on a particular specification. If there’s an occurring dispute with respect to the present terms, it will be opened for discussion and subject for revision. 1.18 Granting that our goal is to provide Internet publication globally, there is no intention of offense, insult or any form of verbal abuse implied on any of our content/articles/images and representation thereof. 1.19 we reserve upon our discretion, the right to remove any information that may pose threat or anything that is not in accordance to law. 2.1 User registration is by all means voluntary and is not imposed or reinforced in any way by any member of the company. Note that we duly require that you sign in with your corresponding user name and password details. Our services, present and future will be granted upon your request. 2.2 the management storing your personal information and data has the right to manage, disseminate, expose, transfer and lend the said information to 3rd parties for their use. The company does not assume any responsibility as to whether how the 3rd party utilizes that information. 2.3 you can notify our Management Team if you detect or find misuse and involuntarily access to your personal data and we shall take necessary measure to ensure safety. 2.4 for external contributors, writers, firms, and business entities registering on our websites, not legitimately employed by the company cannot forcedly demand compensation or fee of any sort. It is clearly stipulated on the terms before acceptance that the works published will be free of charge. 2.5 we reserve the right to notify you if there are any requests for change of details on the user side. Promptly, only according to your request shall we proceed with doing the changes as you deem fit. 2.6 deactivation of your account is solely based upon your discretion. We require that you notify us through proper channels and submission of request for due action. Otherwise if we find any illegal activities using your account, we reserved the full right to delete or deactivate your account access. 2.7 in relation to credit card settlement or any financial instability issues, we held no liability to provide, assist and cater to the needs or requirements thereof. We will not be responsible to pay or settle on behalf of external users regardless of the information inputted on our services. 2.8 we retain the right for the seizure of provisional assets in case of injunction when subjected to delinquent taxes or public dues. We have the right to impose additional charges/fee depending on the taxation rate of our provided services. 2.9 in the event of your company’s (Client User) bankruptcy, lawsuits, civil rehabilitation process, settlement procedures or liquidation, we have the right to deactivate or delete your advertisement in our website. You will loose the right to use our services and necessary due charge for payment of debt. 2.10 we can refuse the offering of our services if we find that your company, during the evaluation and checking any means/factors that we deem harmful and illegal for the public. 2.11 we do not encourage spam distribution as a means of company guidelines. 2.12 usage fee will be defined clearly and specifically shall it be implemented but we will not be obliged to divulge in public prior to the mandated schedule.